You can read along with the Christmas Story Video! 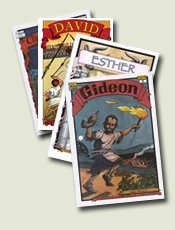 You can own the print version of these comic books for your home or church. Order today!